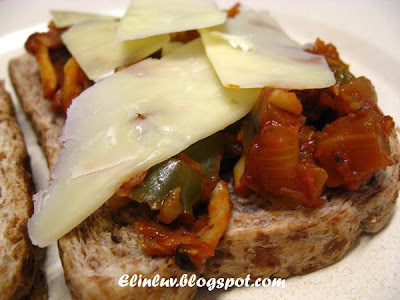 I love ratatouille since the day I was introduced to it by Flavour magazine Sept-Oct issue 2007. 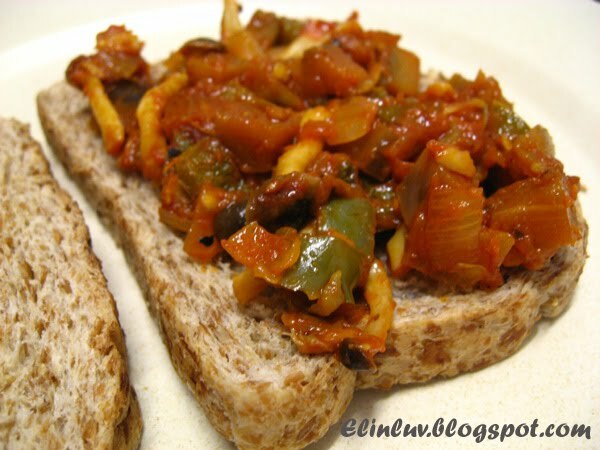 Ratatouille is a very versatile dish and can be eaten with spaghetti , as topping for pizza and on baguette or as a side dish for a main course. 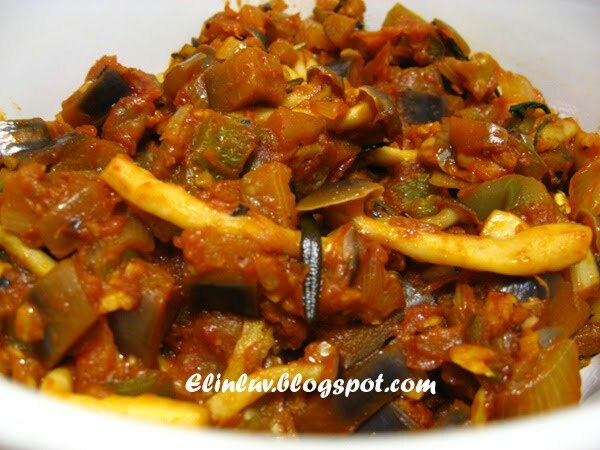 There is no short cuts - like what the writer said , it is a good understanding of the various parts of the recipes that will allow you to make the perfect ratatouille. I decided to have ratatouille with the organic bread that was given to me by my friend Claire. It tasted so good that I had four slices of the organic bread for dinner. The ratatouille was well cooked and it was flavorful...mmmmmm yummy no doubt. I will let my pictures do the talking once again. I added the shimeiji coz there were a small portion left after cooking the Ramen, so instead of wasting it, I throw them in to make the ratatouille and it was truly good. Now I know why the French people love this dish! It is simply delicious! Split the aubergine lengthwise, place in a colander, and sprinkle with salt to draw out the bitterness. Set aside for 30 minutes, drain and cut into 2cm cubes. Heat the oil in a heavy-bottomed or cast iron pan. Add the aubergine and cook until lightly browned. Remove and set aside. In the same pan, cook the zucchinis the same way. In the same pan, cook the onion ( add more oil if neccessary) until translucent. Add the red and green capsicums and cook until tender, add garlic, aubergine, zuchinnis, tomato and tomato puree. Cook for 1 minute. Pluck the rosemary and thyme leaves, and add to the ratatouille. Add optional ingredients, if using. Simmer over low heat for 1 hour. Alternatively, you can cook it the oven at 180 C for 40 minutes, then at 150 C for another 40 minutes. Season to taste with sugar, salt and pepper. Remove from heat, allow to cool and refrigerate if not using immediately. The flavors will develop overnight. Serve warm or cold, as a side dish, as a topping or use as a base or flavoring for other recipes. added to his nature. " Yum! What a healthy and delicious dish. I've only tried some half-hearted attempts in restaurants, serving them as sides. elin, new recipe again?? how does it taste like? i imagine acah when i look at this.. western achah.. This dish is a classic for a reason. Beautiful, fresh, simple flavors. You can't beat it! At a glance I thought it was sambal. I just got up and I am still dreaming ha ha..I never try Ratatouille before. Heard so much about it though. It is time to try it soon. 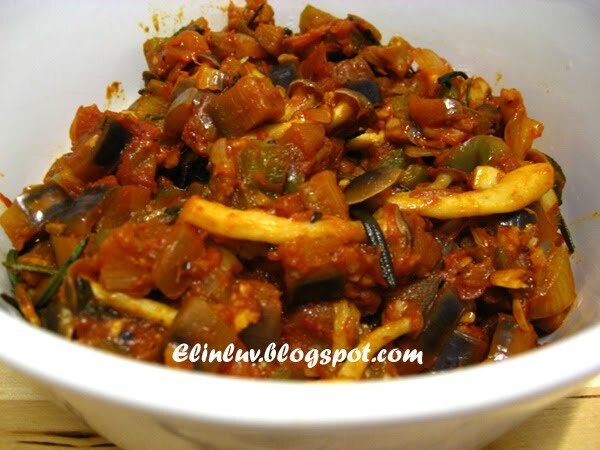 Have never tried ratatouile, but after reading this recipe, I'd love to. 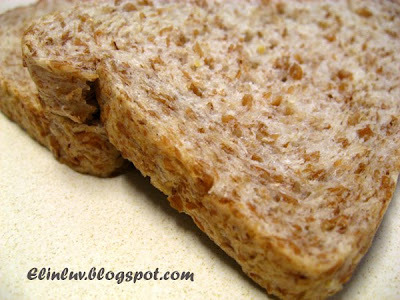 The organic bread looks fantastic- 7 grains, wholesome indeed! nice to know u and Clair..u gals rocks!! 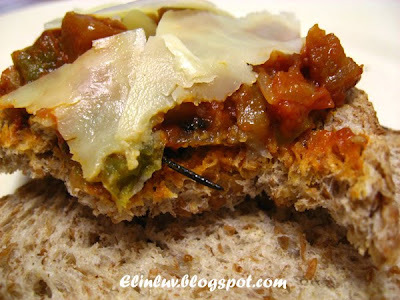 Anncoo : You are welcome..you must try this out if you have watched the movie Ratatouille LOL! The Little Teochew: Hi, yup it is so healthy and delicious ! Mandy : Hi Mandy...same over here..it is great to meet up with you and STP. When you are in Ipoh do let us know..we can meet up again :)) Take your time to drool at the food here LOL! Yummm.... I would prefer it on toast and with baked cheese on it! Wow... that's super delicious! Hi Kristy...yup baked it with cheese and it is yummy too!